What Kind of Fishing Can You Do On or Near the Lake? 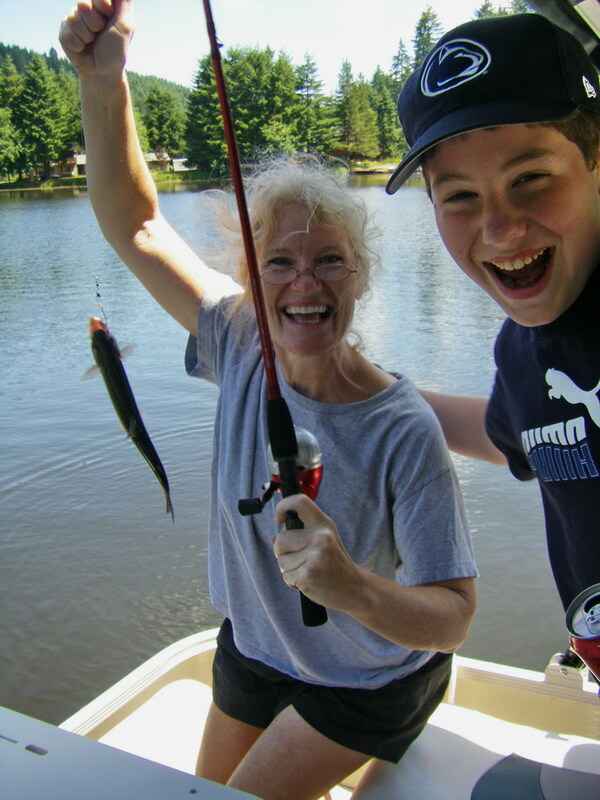 Gayle Rich-Boxman, Broker with John L Scott Market Center and Your Local Expert at Fishhawk Lake! Your Gateway to the Lake! Trout Season: May (usually Memorial Day weekend) to October 31st for Fishhawk Lake and the coastal streams in the Northwest zone. You can catch and keep up to two cutthroat trout per day, 8″ or over. 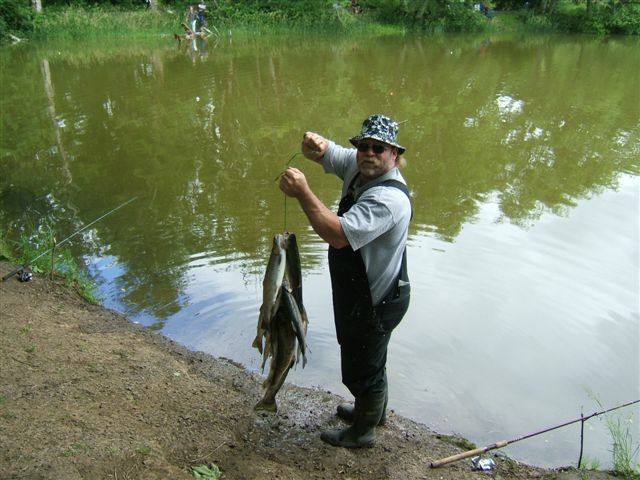 Trout can be readily found in Fishhawk Lake. All along the Nehalem River is another great area, the headwaters are located around the Timber, OR area and it flows in a big loop (about 90 miles long) and enters the ocean at Wheeler, OR. From Fishhawk Lake to Wheeler is only 53 miles and from Vernonia to Fishhawk Lake it’s only 24 miles. There are also lots of tributaries that have fish as well. This Nehalem system, which includes all of the creeks that run into it have native fish (cutthroat trout) only, they’re not stocked. As to “how to” fish, you can bank fish on the whole Nehalem, or you can troll in a variety of small boats (drift boat, small pontoon boats, kayaks, etc.) with lures only. Catch and release only at Fishhawk Lake, but consult rules and regulations for other areas. Steelhead come up the upper portion of the Nehalem River in late December through March. This river is not stocked with steelhead, they’re mostly native and you can’t keep the natives. If you catch a hatchery fish, the adipose fin would be clipped which is the small fin at the lower part of their back. It would be a rare occurence to catch one of these hatchery fish in the Upper Nehalem. These fish caught in Vernonia Lake. We are not far from the Columbia River where you can do boat fishing on big water for salmon, steelhead and you can bank fish, too. Within an hour of Fishhawk Lake there are several steelhead streams that have a run of hatchery fish. The Klatskanine River is on the way to Astoria, past Fishhawk Lake on Highway 202. 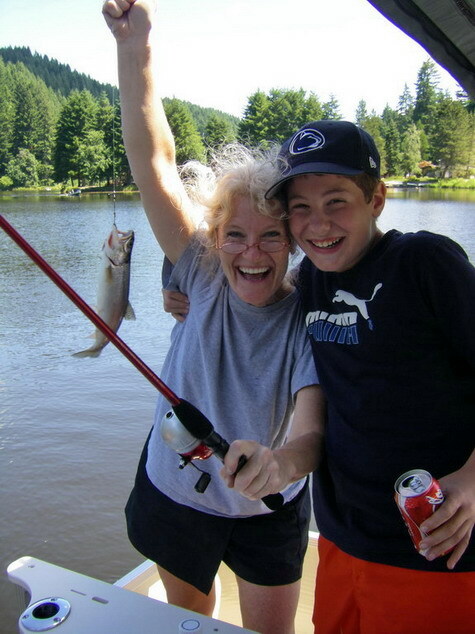 You can catch coho, chinook and steelhead. Other steelhead streams that run into the Columbia River are Big Creek Hatchery on Hwy. 30 between Clatskanie and Astoria. The Clatskanie River is another possibility. This is roughly a half hour from the lake. The whole Columbia River is also available for sturgeon, wall-eye and bass fishing, shad and a variety of warmwater species. You can crab/clam in some of the small coastal towns: Seaside, Gearhart, Nehalem Bay. You can also crab in the lower Columbia at Hammond Marina. There are many little bays near the ocean, too, the closest to Fishhawk Lake would be Astoria, about an hour’s drive at the most. 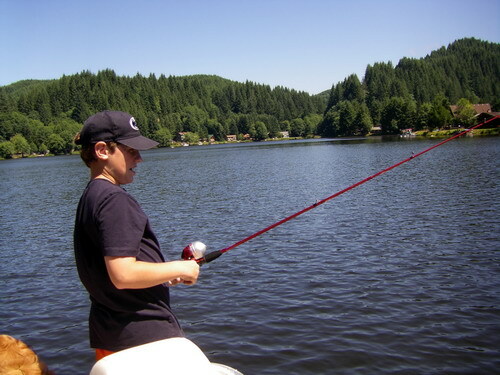 This entry was posted in Buyer/Seller Questions, Catch and Release fishing, Common Questions About Fishhawk Lake, kayaking, Nature and tagged catch and release fishing, coast, Columbia River, fishing, freshwater fish, Nehalem River, trout, waterfront property. Bookmark the permalink. 6 Responses to What Kind of Fishing Can You Do On or Near the Lake? Can you buy a piece of property and park an airstream on it?